This is a brief account of a citizen of Mumbai battling – in his spare time – to prevent the destruction of trees in his city. He draws attention to the Tree Act (1975) which gives extensive instructions ofr increasing tree cover in Maharashtra – summarised below. Zoru decided to file a public interest litigation (PIL) as well as actively campaigning with protesting neighbourhood groups and publicising the case on Facebook. It is reported that judges presiding over the Bombay High Court (HC) hearing in 2016 asked BMC: “Unless you conduct a tree census in a proper scientific manner with the help of experts, how will you know the situation?” The HC said it will have to examine the manner in which BMC conducts the tree census. 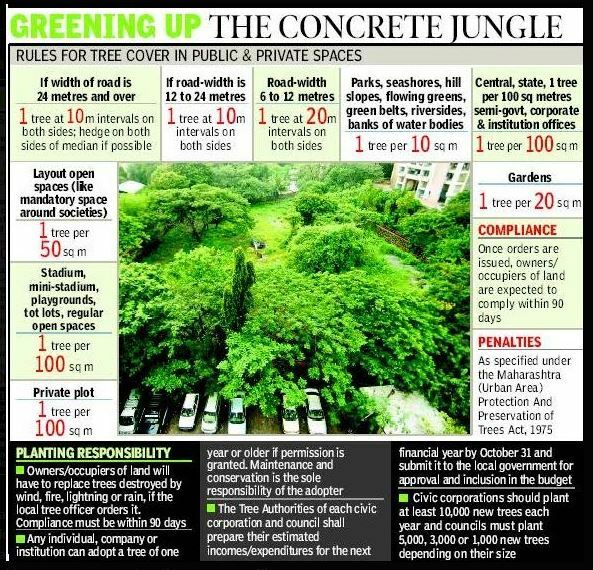 Advocate Joaquim Reis and advocate Trupti Puranik, representing said BMC had planted about 1,546 new trees in place of the dead trees, but the petitioner’s counsel, Kainaz Irani, pointed out: “The corporations plant young saplings which do not survive”. Another report added some interesting details. The HC said that it would focus on two issues — preservation of existing trees and the census of trees so that they can be protected and increasing the green cover, by planting more trees.